Dr. Ashish Sabharwal graduated from R.G. Kar Medical College in Calcutta, India where he completed his MBBS. He then pursued his Masters in General Surgery at BLDEA Medical College, Karnataka University. In 2011, he completed a three-year fellowship training in endourology and robotic prostate surgery at Jackson Health System in Miami, Florida. He has an E.C.F.M.G certificate from the USA and holds an unrestricted license to practice medicine and urology in Florida, USA. During this training, he was involved in more than 1,000 laser and robotic prostate surgeries and handled several cases of kidney stones using laser treatment. 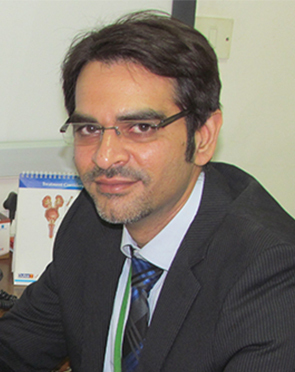 Following his fellowship training, Dr. Sabharwal joined Fortis Escorts Hospital where he was tasked to establish the hospital's urology centre of excellence. He also established the Blue Ribbon Prostate Clinic where he is offering all the advanced treatments for prevention, evaluation and treatment of Prostate Cancer, Prostate Enlargement, Sexual Dysfunction and Kidney Stones. 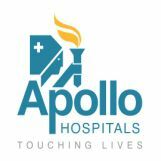 Dr. Sabharwal is an esteemed member of the American Medical Association, the American Urology Association, and Urology Society of India. MBBS from R.G. Kar Medical College, Calcutta. Guest Lecture on Prostate Cancer Awareness and Robotic Surgery for Prostate Cancer at Delhi Gymkhana Club, New Delhi held on Friday, May 12th ,2017. Guest Lecture on Prostate Cancer Awareness and Robotic Surgery for Prostate Cancer at IMA Surge Conference CME , Bathinda, held on Sunday, May 7th ,2017. Invited Faculty as an Expert panellist at the UroOnco summit 2017 on Bladder Cancer held at India Habitat Centre, New Delhi on 3rd May, 2017. Guest Lecture on Prostate Cancer Awareness and Robotic Surgery for Prostate Cancer at Uganda Cancer Institute, Kampala February 2017. Chaired for session on Live Operative Surgery Robotic Assisted Radical Cystectomy with IntracorporealIleal Conduit in the International Live Operative Workshop on Robotic Assisted Urological Surgery at Saket, Delhi on 10th and 11th April 2016. Chaired for session on Prostate Cancer in 12th International Conference of Asian Clinical Oncology Society (ACOS) being organized from 8th to 10th April, 2016 at Hotel The Ashok, New Delhi. Guest Lecture on Robotic Radical Prostatectomy for advanced prostate Cancer at YOG Meeting, New Delhi, India in Feb 2016. Guest Lecture on Robotic Radical Prostatectomy for prostate Cancer at IMA NATCON Dec 2015. Guest Lecture on Robotic prostate surgery: Present role and technique at Urooncology workshop at Rajiv Gandhi Cancer institute July 2015. Dr. Sabharwal performs 36 different procedures. Click on a procedure name to see more details and to view doctors for that specialty. 4.6 average based on 61 reviews.